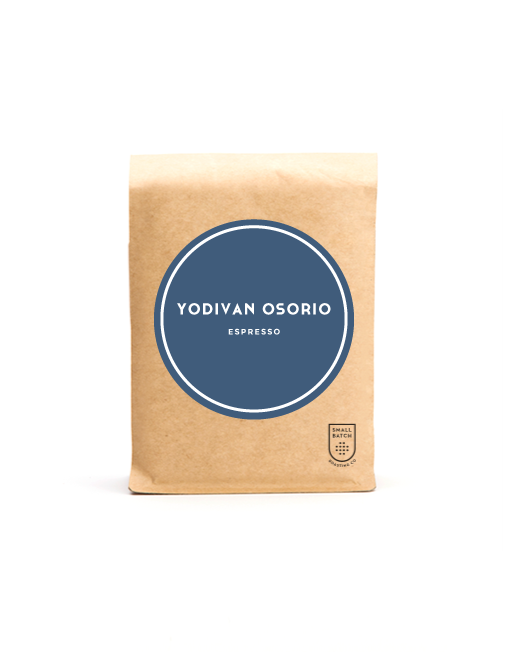 Yodivan Osorio – Espresso | Small Batch Roasting Co.
Yodivan is a great demonstration of the virtues and possibilities of working closely with a producer over some years, sticking by them and – potentially even for a few years – buying coffee that doesn’t quite make micro-lot standard at significantly above market prices, while gently supporting and providing feedback. Our approach involves turning up 3 and 4 times a year to check in and ultimately leads to an entirely “farm-gate” purchase of coffee in parchment form, paying an amount that Yodivan understands in his local currency, and that he feels represents a reasonable income. And even better – not only is the taste of Yodivan’s coffee improving year on year, but his chemical inputs are decreasing year on year as he embraces grassroots regenerative agricultural practices (via classes which we’ve sponsored). Overall it’s a great reminder of why we love doing the sourcing work we do! And you can taste all this goodness in the cup! It’s a classic Huila combo of caramelised nuts and butter, combining great texture with a suggestion of strawberries and cream. 1900masl caturra and var. F6. 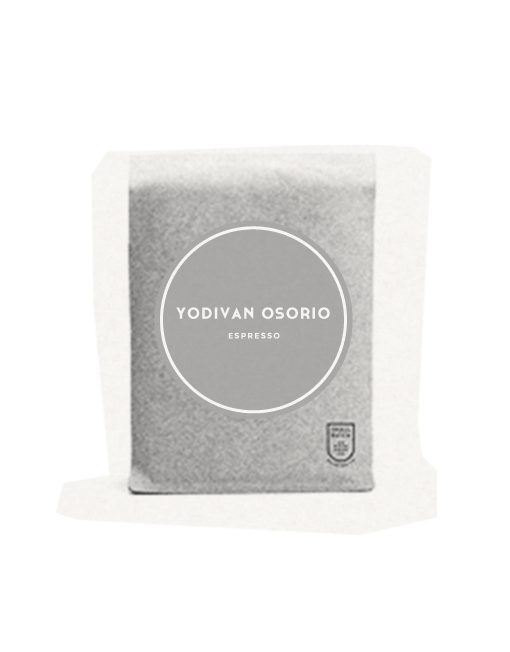 Thanks Yodivan – to you and in fact all the quiet achievers we buy from, all working towards this moment of producing coffee good enough to make it as a feature coffee – we say: good on you!